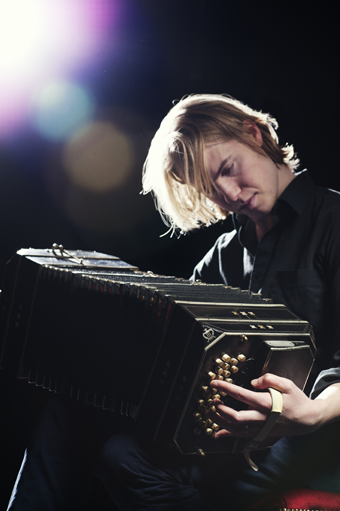 Lundberg performs Astor Piazzolla's bandoneon concerto 'Aconcagua' with the Israel NK Orchestra, conductor Christian Lindberg, giving 8 concerts throughout Israel in April 2019. Together with the Västerås Sinfonietta, Trio Bandarco performs music by Astor Piazzolla in new arrangements for this special setting. The trio will also play a few pieces by themselves. 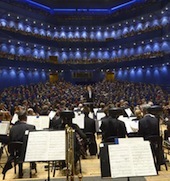 Västerås Concert Hall on February 23 2019. Lundberg performs Astor Piazzolla's Four Seasons with the Västerås Sinfonietta at Västerås Concert Hall on February 21 2019. 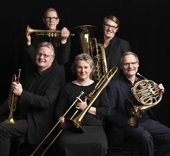 Lundberg and the Grammy Award-winning Dahlkvist Quartet has put together a tango concert consisting of music by Astor Piazzolla and traditional tango. They will perfom at Västerås Concert Hall on October 11 2018.
ñas with the Wermland Opera Orchestra at Karlstad CCC on January 5 2018. During autumn 2017 and spring 2018 Lundberg is artist in residence at Västmanlandsmusiken and Västerås Concert Hall. The collaboration will result in several exciting projects. Lundberg performs Astor Piazzolla's Four Seasons with the Norrköping Symphony Orchestra at the Norrköping Concert Hall on November 9 and at the Uppsala Concert Hall on November 10 2016. 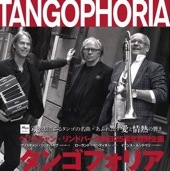 Trio Tangophoria goes on tour in Japan between November 13 - 20 2016. They perform in Tokyo, Osaka and Nagoya. Lundberg and Norrbotten Chamber Orchestra tour with a tango program in the north of Sweden, giving ten concerts between September 14 - 25 2016. 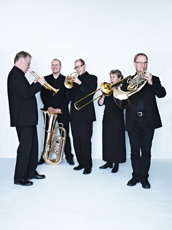 They perform at among other venues, NorrlandsOperan - Umeå, Kulturens Hus - Luleå and Acusticum - Piteå. New CD "Tangophoria" recorded at BIS Records will be released in autumn 2014. The trio goes on release tour in Sweden and Norway between October 4 - 20. Lundberg and the Crusell Quintet perform in Sweden during spring and autumn 2014 with a program of Argentine tango. Premiere March 1 at the Linköping Concert Hall. Lundberg and the Linné Quintet continue their successful tango concerts in Sweden during spring and autumn 2014. 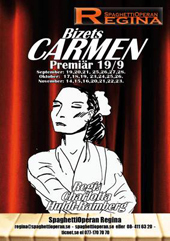 In autumn 2013, spring and summer 2014 Lundberg participates in Bizet's Carmen, set in a milonga in Buenos Aires, early 1920s... It is perfomed at SpaghettiOperan Regina in Stockholm and at StrömstadOperan. 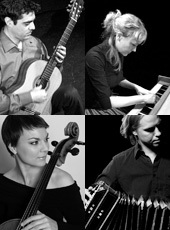 Lundberg and the Linné Quintet tour in Sweden during spring 2013 with a concert programme consisting of tango music. They will also premiere a new piece for bandoneon and brass quintet by Andrea Tarrodi. The Zero Hour Project is an ensemble which repertoire, composed by Mauro Godoy-Villalobos, contains contemporary music with a touch of modern tango. Acoustic instruments meet electronic sounds and notated music is mixed with free improvisation. In autumn 2012 the Zero Hour Project gives concerts at, among other venues, Klusterfestivalen in Luleå and Västerås Konserthus. 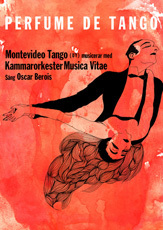 During May 25 - June 2 Lundberg tours with the Musica Vitae Chamber Orchestra, singer Oscar Berois and the Montevideo Tango Quartet in the show "Perfume de Tango". Works by Pugliese, Troilo, Salgán, Rodríguez, Exposito, Cobián, Gardel, Villoldo, Piazzolla etc. Jens Lundberg - Bandoneon Repertoire: Tango classics translated into Swedish. Jens Lundberg - Bandoneon Repertoire: Argentine Tango and Classical music. 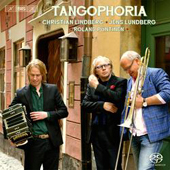 Jens Lundberg - Bandoneon Repertoire: Traditional tangos arranged for solo bandoneon.